US policy paper reveals desire for construction of full-scale extraterritorial army to invade Syria. Such an army is being built in Iraq and Turkey and it's called "ISIS." November 10, 2014 (Tony Cartalucci - NEO) - The corporate-financier funded and directed policy think tank, the Brookings Institution, has served as one of several prominent forums documenting and disseminating US foreign policy. 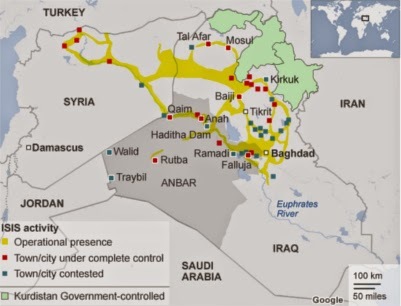 It would host in part the architects of the so-called "surge" during the nearly decade-spanning US occupation of Iraq, as well as battle plans for waging a covert war against Iran now well under way. Part of this covert war against Iran involved the arming and backing of listed terrorist groups, and in particular, the Mujahedeen-e-Khalq (MEK) which has killed US servicemen, American civilians, as well as countless innocent Iranians over the decades. Among those signing their name to this plan found within Brookings' "Which Path to Persia?" report, was Kenneth Pollack. Now, in efforts to overthrow the government of Syria, also a stated and integral part of undermining, isolating, and destroying Iran, Pollack has revealed another element of the plan - to create a full-scale proxy military force outside of Syria, then subsequently invading and occupying Syria with it. 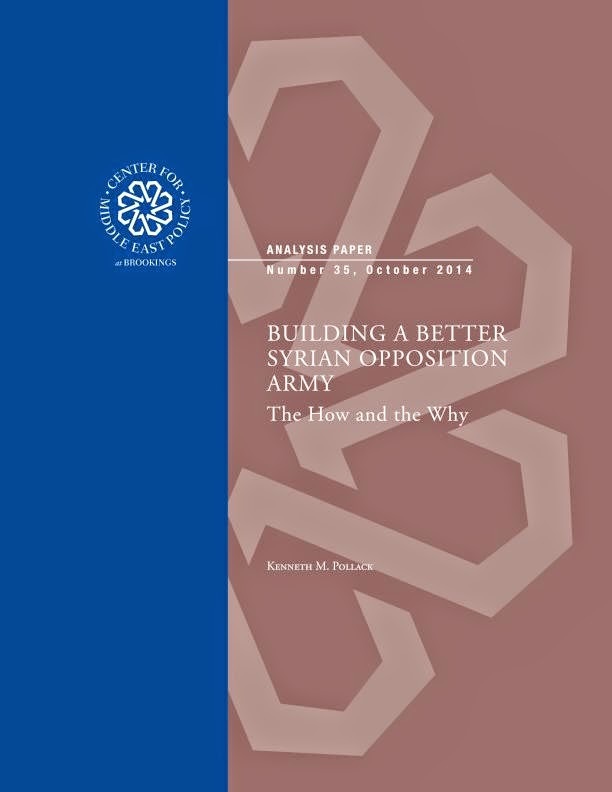 In the report titled, "Building a Better Syrian Opposition Army: How and Why," Pollack cites the so-called "Islamic State" or "ISIS" as the ultimate impetus for expanded US intervention. However, upon looking at Pollack's proposal, it merely looks as if the US is using ISIS as a pretext to more overtly intervene in order to overthrow the government of Syria - not in fact neutralize ISIS. 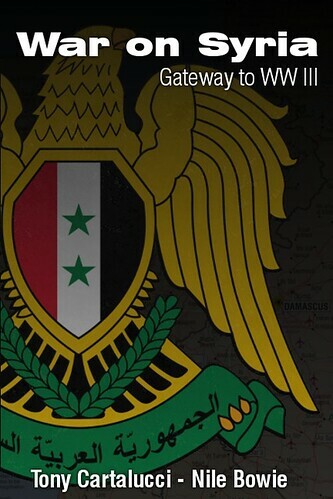 ...building a new Syrian army is best not done in Syria itself. At least not at first. The program would need the time and sanctuary to perform the necessary training, reorganization, sorting and socialization into a new Syrian army without the distractions and pressures of Syria itself. The Saudi offer to provide facilities to train 10,000 Syrian opposition fighters is one of reasonable possibility, although one of Syria’s neighbors would probably be preferable. Jordan already serves as training ground for America’s current training program and it would be an ideal locale to build a real Syrian army. However, Turkey could also conceivably serve that purpose if the Turks were willing. Clearly, not only is this already being done as admitted by Pollack himself, it is being done on a scale already eclipsing Pollack's alleged plan - the only difference is it is being done through the use of sectarian extremists - not the imaginary, nonexistent secular professionals Pollack uses as a marketing gimmick to sell this scheme. In addition to being armed, trained and officered like a conventional military, a new Syrian army would also have to be equipped like one. That would mean not just small arms and crew-served weapons, such as the United States and its allies are already providing, but heavy weapons and logistical support. Like the Croats and Bosniaks, a new Syrian army will need the wherewithal to defeat both the regime and the Islamist extremists. That will require tanks, armored personnel carriers, artillery, surface-to-air missiles and the like to match the regime’s own heavy weapons—and so eliminate the firepower imbalance that the regime’s forces have employed to such advantage so far. Surely, Pollack's plan will never materialize in any practical dimension - however it may be possible to use such a marketing ploy to pour more resources into both the ongoing proxy war against Syria and Iran in general, and more specifically into the terrorist battalions already being armed, funded, trained, equipped, and sent off from Jordan and Turkey into Syrian territory. Handing advanced weapon systems into the hands of front groups consisting of intentionally ineffectual, immensely corrupt, incompetent US proxies is as good as handing the weapons directly to ISIS - and of course - this is precisely how the US is building its actual "new opposition army" - namely, in the form of ISIS itself. Removing Pollack's rhetoric about secular professionals, and inserting "ISIS" reveals Pollack's paper as the actual already ongoing plan to overrun not only Syria, but pro-Iranian factions in Iraq, and perhaps even Iran itself. ISIS is a massive mercenary army trained and funded abroad by the US with its support laundered via Saudi Arabia, Qatar, Jordan, and Turkey, staged along Syria's borders in both Jordan and Turkey, and acquiring an impressive arsenal just as what is required in Pollack's plan to enter into and overthrow the government of Syria - minus eradicating extremists of course. 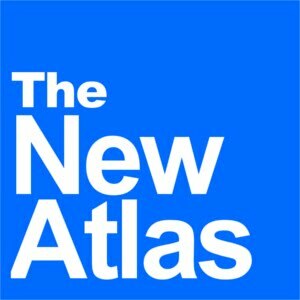 Even a cursory look at ISIS' holdings across the region reveal ratlines leading into NATO-member Turkey's territory and all along the Turkish-Syrian border where news outlets like the New York Times and Washington Post have reported for years the CIA had been operating - unloading billions in aid, gear, weapons, and even vehicles to militants fighting within Syria. Headlines over the past 3-4 years including, "C.I.A. Said to Aid in Steering Arms to Syrian Opposition," "First Syria rebels armed and trained by CIA 'on way to battlefield'," "Arms Airlift to Syria Rebels Expands, With Aid From C.I.A.," and "Official says CIA-funded weapons have begun to reach Syrian rebels; rebels deny receipt," reveal precisely how ISIS acquired its vast resources. ISIS is organized on a professional level precisely as described by Pollack, most likely the result of US military advisers and their counterparts in Saudi and Qatari special operations. ISIS is also heavily armed precisely as was required by Pollack's plan. They now possess an impressive and ever growing arsenal of weapons including tanks, missiles of all kinds, artillery, and even a small collection of aircraft including Russian warplanes and American helicopters. Syrian rebels have amassed multiple Manpad models since 2012, and the Islamic State has generally had little trouble acquiring any weapon used by Syrian rebels either through purchase or capture, military analysts say. Unprepared Iraqi troops - the result of what Pollack claims as an American "success" - have also augmented ISIS with precisely the weapons needed for Pollack's dream "opposition army." 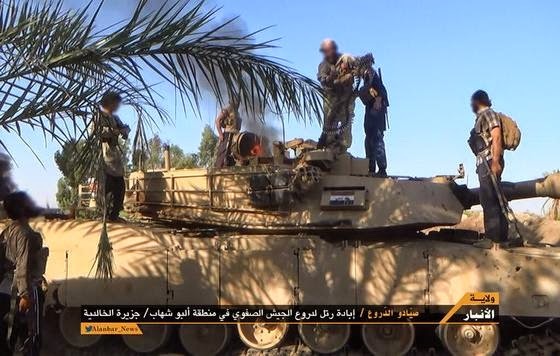 No less than 30 M1 Abrams main battle tanks have fallen into ISIS' hands. Only, ISIS' Saudi, Qatari, and Jordanian sponsors most definitely do possess the highly trained maintenance crews necessary to keep these weapons in good working order - since these despotic regimes each in turn possess a large number of exactly these weapon systems purchased from the United States itself. If the Saudis in particular, can fund, train, and arm ISIS with small arms and missiles, how difficult would it be to supply them with spare parts and properly trained maintenance crews? Turkey also maintains a number of US weapon systems, and possesses the ability to maintain modern battle tanks if not the M1 specifically - and is already harboring, supplying, and backing ISIS - another inconvenient truth challenging Weiss' attempts to mislead readers. In fact, Pollack's "proposal" appears more like an after-action report. ISIS is the "better Syrian opposition army" the West has sought all along. That is probably why attempts by the US to "fight" ISIS appear half-hearted and why those the US is supposedly "saving" from ISIS see Western intervention as more of a threat than ISIS itself believing it is designed simply to prolong ISIS' existence in the face of growing and increasingly more formidable indigenous opposition. Any provisions to build Pollack's "army" will undoubtedly end up only bolstering ISIS and its affiliates - just as military aid policymakers like Pollack at Brookings advocated for the arming of "moderates" resulted in the creation of ISIS in the first place. While the US desperately attempts to disown responsibility for ISIS' creation and perpetuation through an unconvincing propaganda campaign, false flag terror strikes against the "homeland," and a series of increasingly ludicrous, orchestrated strawman victories in Iraq and Syria - Damascus, Baghdad, and Tehran are leading the real fight against ISIS. The US apparently plans on protecting ISIS for as long as possible under the guise of being the sole force "fighting it," while ISIS consolidates and moves on Western designated targets. In the process of "fighting" ISIS, the US is managing to destroy Syrian infrastructure and defenses. The US, however, has failed in attempts to exclude Syrian, Iraqi, and Iranian forces from countering the ISIS threat and now the region is witnessing a race between ISIS' inevitable destruction and America's attempts to topple Damascus before ISIS vanishes from its geopolitical toolbox.